Food safety is more of a hot-button issue now than at any time in recent memory. Not surprisingly, more food safety-related legislation is pending on Capitol Hill than at any time in recent memory. This is in keeping with a long tradition of amending the Federal Food, Drug, and Cosmetic Act, for better or worse, in response to crisis. The origins of the current downturn in consumer confidence can be debated. High-profile food safety scares involving E. coli in spinach and meat and Salmonella in peanut butter are partly to blame. But outbreaks of foodborne illness always have been a serious problem, and we do not yet have data showing the U.S. actually has experienced more foodborne illness than normal in recent years. Also to blame is the recent focus on the safety of imported foods and food ingredients. Without a doubt, imported food is being scapegoated to some degree, and protectionism is playing a role. With the exception of the unusual case of melamine in pet food, most of our high-profile food safety scares are caused by problems that originate within the U.S. Traditional Washington politics also plays a role in creating today’s crisis atmosphere. There’s a perception that the Bush administration has neglected food safety, and this is being milked for political advantage. All of these things have come together to create an atmosphere in which food safety-related amendments to the Food, Drug, and Cosmetic Act appear inevitable. Most proposals for a legislative fix include granting the FDA authority to order food recalls. FDA currently has authority to order a recall of a dangerous medical device, but the agency lacks authority to order a food recall. Consumer activists have long wanted to see FDA granted mandatory food recall authority, and many consumers would probably find it surprising that FDA technically lacks authority to order a food recall today (except in the case of infant formula). Although it’s beginning to appear inevitable that Congress will grant FDA authority to recall food, it’s worth considering some reasons why this may not have a good impact on food safety. 1. Food manufacturers currently face significant liability and perhaps irreparable loss of consumer confidence if their products injure consumers. This reality creates a stronger incentive for manufacturers to market safe foods than anything found in the Food, Drug, and Cosmetic Act. 2. Currently, it’s impossible to imagine a situation in which FDA would recognize the need to recall a dangerous food and yet it remains on the market because the manufacturer refuses to cooperate. FDA has authority to seize adulterated food. FDA also has authority to detain food that is suspected of being contaminated. And, FDA has the ability to issue a press release warning consumers that a food is dangerous. In practice, food manufacturers cooperate with FDA in times of crisis. 3. 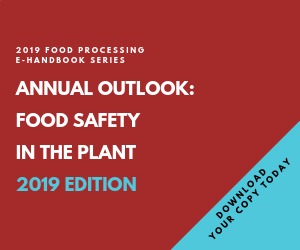 Particularly in the case of meat and fresh produce, by the time a food contamination incident is pinpointed, much of the affected food already has been consumed. 4. In practice, FDA may not welcome food recall authority because this brings with it responsibility to exercise the authority promptly and judiciously. It’s not hard to imagine the agency being criticized for failure to recall a food at the very first sign of trouble, particularly if there are subsequent illnesses or deaths. This may lead FDA to exercise food recall authority in a trigger-happy manner, damaging the spirit of openness and cooperation that currently exists between FDA and the food industry. 5. Real improvements in food safety require resources devoted to improvements in food technology and improvements in good manufacturing practices. In other words, we would be better off focusing government and private resources on prevention. These are a few reasons why mandatory food recall authority may not do much to improve food safety in the U.S. Nevertheless, these arguments likely will not stop Congress from moving forward to grant FDA mandatory food recall authority. Many voices will argue that the government must have authority to remove any hazardous product from the market, whether the product is a toy, a medical device, an automobile or a food. Time will tell whether food recall authority is more helpful than harmful, but food recall authority is not likely to be withdrawn after it is granted.